Boulton House completed construction last month; a small renovation with a great details. See project here. ‘Project: Library’ is featured in the spring issue Design Lines. Read the online or print version. A big thank you to our clients Catherine Osborne and Kaspar DeLine for letting us transform their house with a two-storey library. See the project here. 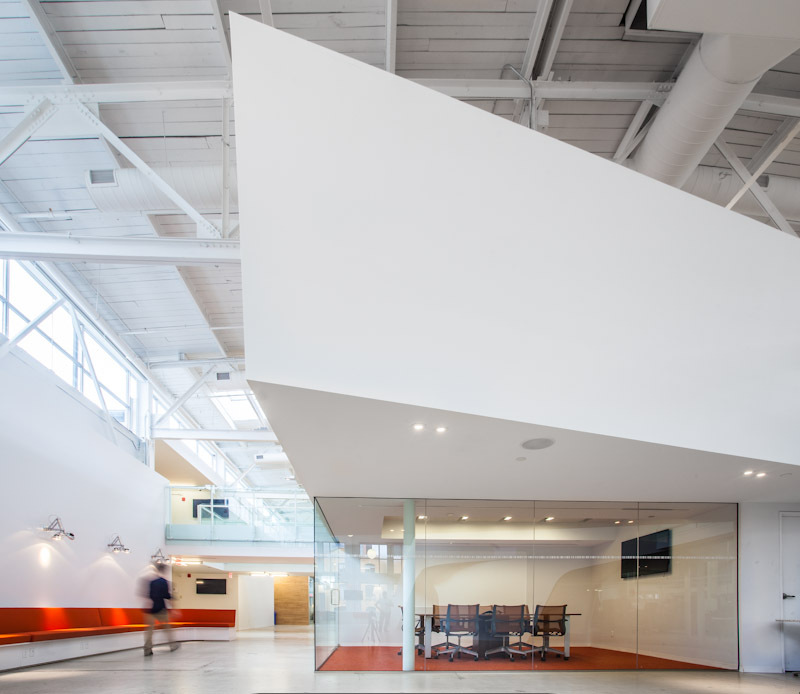 Cossette V7 ad agency’s new offices are featured in the Canadian Interiors September / October issue online or in print. See the project here. The Port Hope House made a splash as the feature article in Peterborough's Our Homes magazine Spring 2013 online, or read the print article. See the project here. The Port Hope House is featured online and in print in the January 2013 issue of AZURE Magazine, profiling 5 modern homes around the world. See the project here. Kellys Lane House is profiled in the architecture section of the Globe and Mail's January 17 issue: 'In Stratford, the flow's the thing'. See the project here. Langara Library and Langara Student Union building are featured in the January 2010 issue of Canadian Architect.